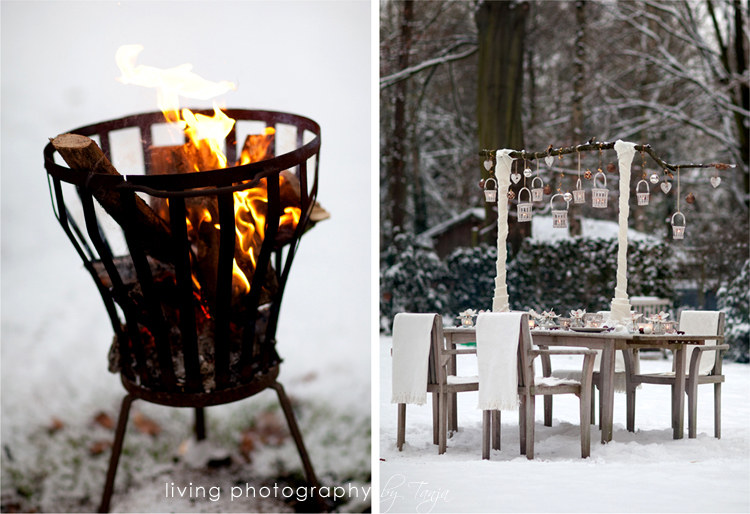 As the snow fell, plans were made… And together with our friends Nancy and Edwin from Pink9Design we set up a wintery fairytale setting in our very own backyard. Hope you enjoy these shots we got. December may very well be my favorite month of the year. 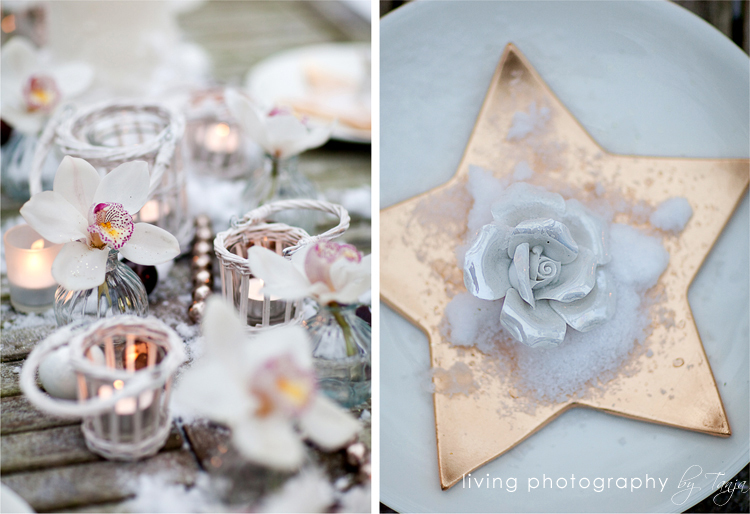 Sweet table top touches for a wintery wedding. 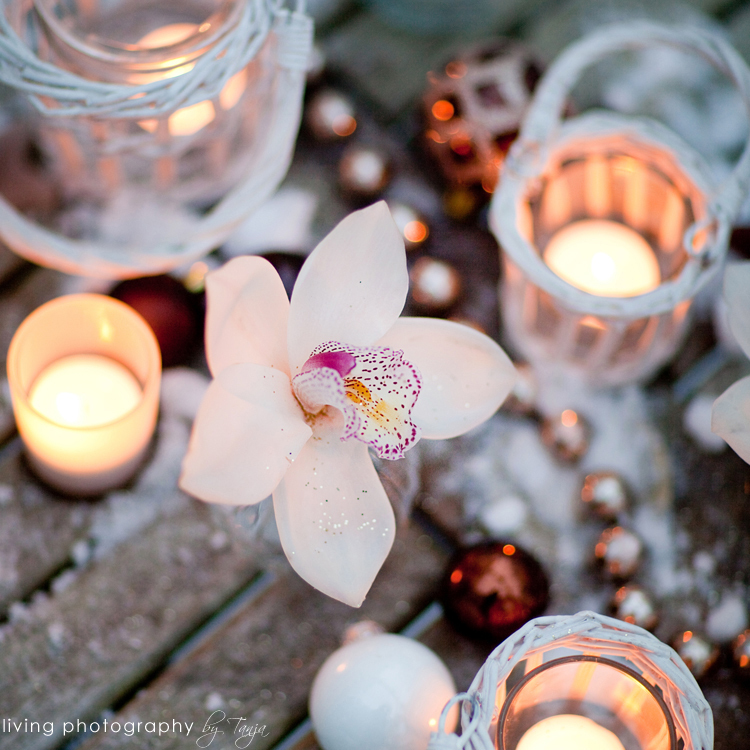 Orchids freeze in the cold… that makes them even more beautiful. 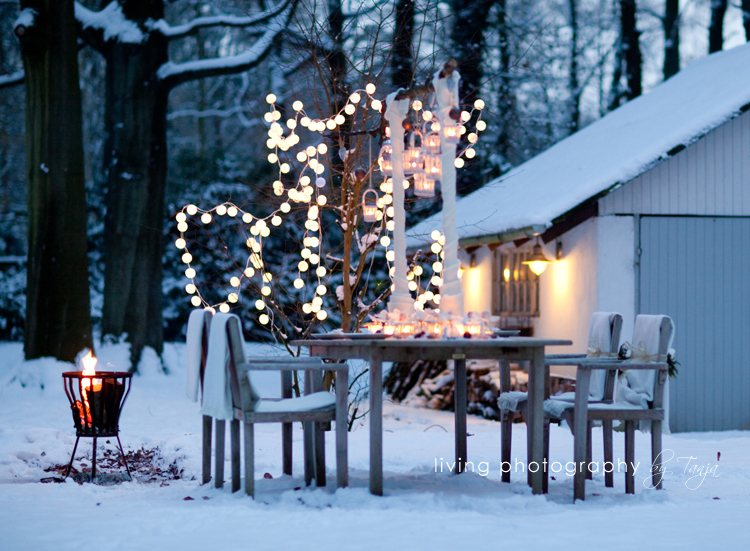 We set this up in our garden… Thanks to Nance’s genious creativity, it was transformed into a winter dream venue. 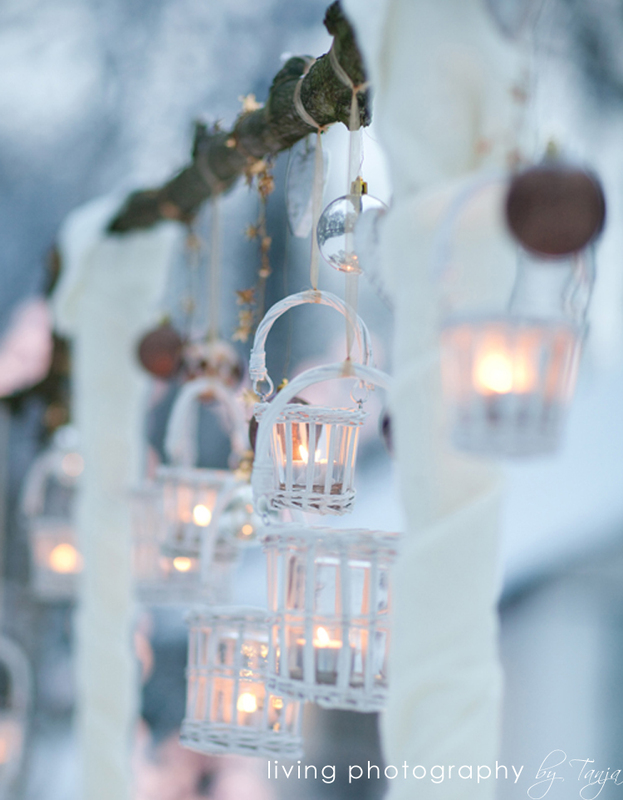 Details! Nance used a piece of dead wood from one of our oaks. An organic touch inkeeping with the surroundings. 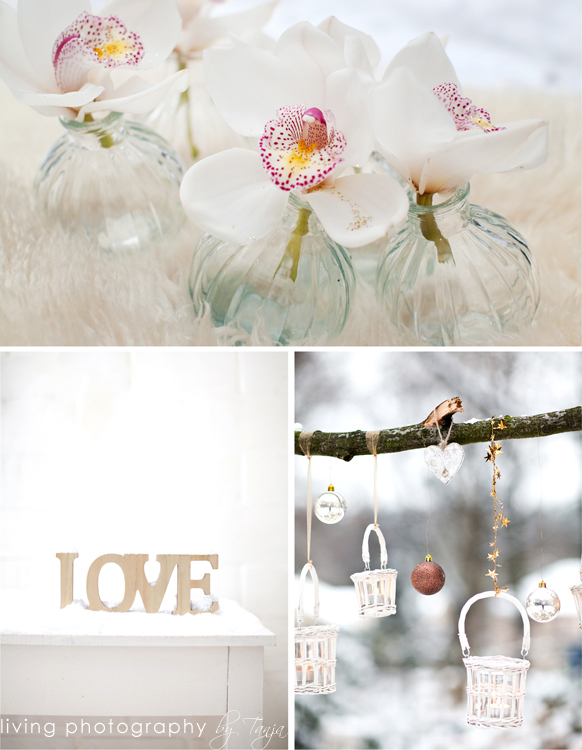 Styling by Nancy at Pink9Design.com. Thanks to our boys for hauling everything outside and being good sports! Oh and for staying on the path and not messing up the snow blanket.